Power through your small-to-medium complexity product development and video projects with the latest..
Power through your CAD and Media & Entertainment applications with the latest professional GPU solut.. The Intel Ethernet I350-T4 4-Port 1Gb NIC offers four ports of 10/100/1000 Mbps Ethernet transfer ra.. The NVIDIA® NVS™ 310 1GB graphics board is a PCI Express low profile form factor graphics add-in car.. The NVIDIA® NVS 510 business graphics solution delivers a reliable hardware and software platform fo.. Deliver exceptional power-efficient 3D application performance with the NVIDIA® Quadro® K2200 graphi.. This Graphics card is based on NVIDIA Maxwell architecture, with 2GB DDR3 graphics memory, and suppo..
Nvidia Quadro M4000 8GB GDDR5 DP x 4 By Lenovo The Quadro M4000 graphics board helps create impactfu..
Connect high resolution DVI video, USB, audio and microphone all in one cableThe USBDVI4N1A6 6 ft 4-.. 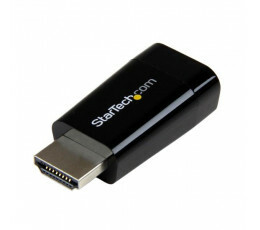 The HD2VGAMICRO HDMI to VGA converter lets you connect an HDMI output from your, Chromebook, Ultrabo.. 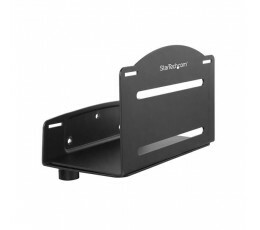 Maximize your work space by wall-mounting your CPU for easy accessThis adjustable CPU mount is an ex.. Eliminate clutter by connecting your PC directly to the monitor using this short adapter cableThis 3.. Convert an HDMI signal with supporting audio to work with legacy composite video televisions and dis..